Darwin, that is, of course. What better way to celebrate than by attesting to Darwin’s Holiness? His undoubted and therefore untested correctness? The eternal and immovable dogma of His Evolutionary Theory? The unquestionable Truth of Truths in Life Science? Read this and behold the Glory of Darwin! You may kneel now, infidels. 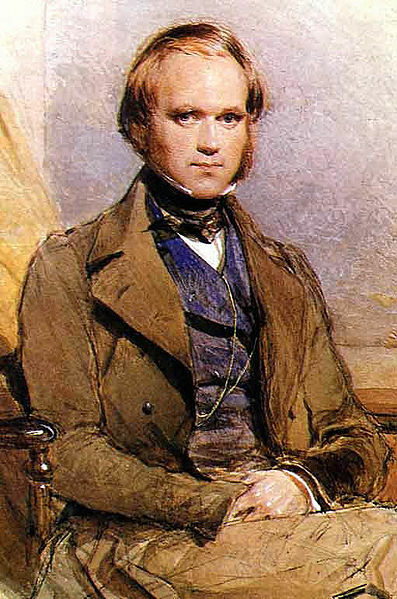 First, and as I already mentioned, Darwin was born in 1809 and so, this year is ‘Darwin year’. This is of course great, me being a life scientist and all that. I will uphold Darwin’s findings by posting repeatedly on evolution (and its nemeses – more like: token cartoon villains – creationism and intelligent design). Hurray! Then there is, as it turns out, quite a number of classical composers that either were born or left this world in years ending in -09. On the upside, Purcell was born 350 years ago while Mendelssohn was born 200 years ago; on the other hand, Händel died 250 years ago. Most importantly (says I) however is the 200th anniversary of Haydn’s death. I guess that if I were to chose one composer, dead or alive, that I could meet, it would be Haydn. Clever and witty, polite and optimistic, with a great sense of humour to boot (check out for instance his symphonies No 45 ‘Farewell’, No 60 ‘the Distracted’ and No 94 ‘Surprise’) and having known both Mozart and Beethoven, surely he must have been someone with lots of good stories to tell. As for his music, I like it, but not nearly enough. There’s also just too bloody much of it! Nearly 70 string quartets and over 100 symphonies (two genres he developed more than any other composer), not to mention everything else (trios, oratorios, masses, piano sonatas…) – there is no beginning. The works I do really like are from smaller ‘pools’ – two brilliant cello concertos and his trumpet concerto, for instance. Recently I discovered his ‘London’ piano sonata – equally brilliant. This year, with all the (cheap! :P) box sets that will be issued “on behalf” of his death, offers a chance to get to know more of his ‘bulk’ work. Let the buying begin! Hurray! Finally, as if that wasn’t enough, it turns out that 2009 has been proclaimed the international year of astronomy! This because apparently 400 years ago some bloke by the name of like, Galileous Gallio or whatever, made a thing of glass to peer at stars and then claimed he saw rings around the moons of Jupiturn, you know, this planet, whereas the bible didn’t mention any of this! No wonder the pope didn’t like that and excummi… excomin… exconnumi… er, well, told him off for that! But despite his mischief, astronomy made it through alright, finally became a proper science, and now we can all celebrate! Hurray! Of course, the cynic in me, not to be outdone, is already smirking at so much optimism: with things like work and the English weather lurking, this year presents an unprecendented number of occasions for the optimist to be disappointed! Hurray!